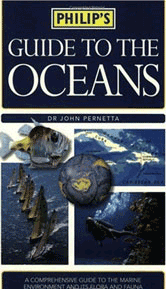 An authoritative and richly illustrated guide to the many facets of the world's oceans and seas. The first five sections describe the genesis and evolution of the oceans, the history of exploration, leisure on the oceans, sealife, and ocean resources. The Atlas section maps the ocean basins, their circulation patterns and unique features. An Encyclopedia of Marine Life catalogues the main groups of flora and fauna.